Our family-friendly staff of hearing professionals are here to serve you. We offer a variety of diagnostic hearing evaluations to treat your hearing loss. 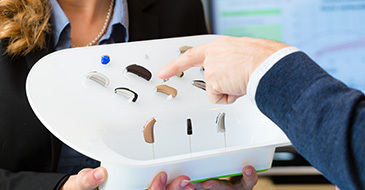 Our diverse selection of hearing aid styles will suit your lifestyle and hearing needs. Get your hearing LIFE back. Established in 1994, Watertown Hearing Aid Center Inc. has been helping people hear better for over 20 years. Thanks to continuing advances in hearing service, we are now able to help improve lives more than ever before. We offer a wide range of instrument styles and technologies, designed to match the unique nature of your hearing loss and lifestyle. An extensive list of diagnostic tests to properly diagnose and treat your hearing loss. 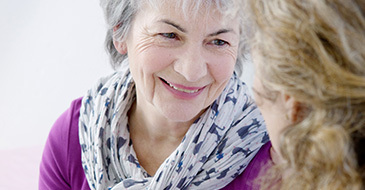 We will ensure that your hearing aids are fitted and programmed to your individual needs. Custom fitted earmolds and earplugs for hunters, swimmers, musicians and various occupations. The latest hearing technology provided by leading manufacturers to improve your overall hearing. Improving your hearing is what we are all about. Our knowledgeable and friendly staff has years of experience in hearing healthcare. Visit our office for a hearing evaluation, hearing aid selection and fitting, in addition to tune-ups and maintenance for your devices. Ready to treat your hearing loss? With an extensive selection of hearing technology, our professionals will find the right devices to fit into your lifestyle, budget and needs! We perform a wide range of repairs right in our office before sending a hearing instrument to the factory. This means reduced cost and wait times for you!